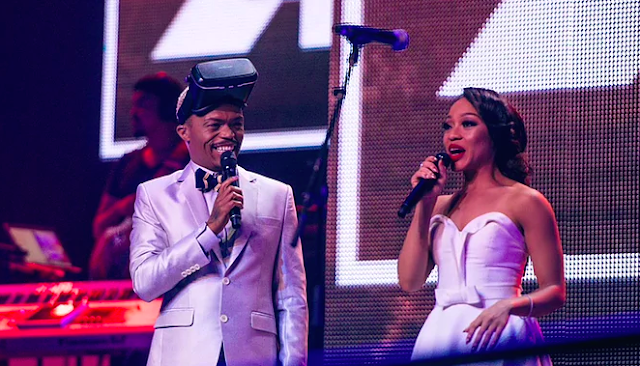 Following Somizi's SAMAs co-hosting stint with Thando Thabethe last year 2016 I pretty much shared the same sentiment that; the good job that he and his co-hosts do at these events is further proof that if we expand the scope of opportunities in South African entertainment industry, there is a lot of talent we'd get to enjoy. 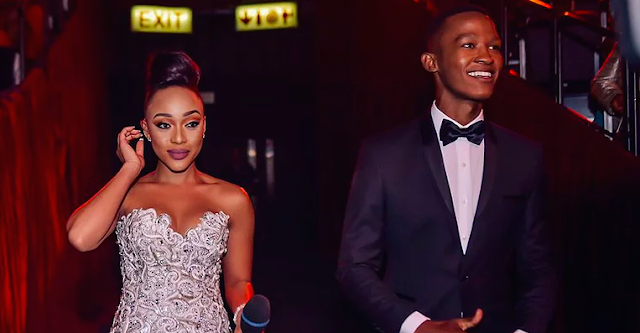 Thando Thabethe and Katlego Maboe also got praise for a stellar job they did hosting the South African Film and Television Awards earlier this year. However, for this post I will be focusing more on Somizi ... because let's face it, he is killin' this right now! In the past few years people have been complaining about seeing the same people host awards ceremonies and TV shows, which spun the hashtag #OpenUpTheIndustry. My argument, whenever I have been engaged in that #OpenUpTheIndustry debate, has always been that; yes, we need new faces to come into the industry, however, there are plenty of talented individuals with experience within the industry who are not getting a chance to showcase that. My assertion has always been; it is not that the industry does not have a varied pool of talent to pull hosts from, it is just that for some reason the industry had resigned itself to only focus on 5 girls. Well, that is changing and the results are amazing. Over 20 years in the industry, it is not that decision makers in this business did not know that Somizi is funny and has a wide appeal. They knew and were just not interested or too lazy to take the risk to open up opportunities for anyone who was not deemed an "it girl". The argument has always been that these 'it girls' have a following so they will bring ratings — which is factually been proven over and over again not to be the case. But to be fair, there was also an element of not wanting to deal with the hustle of working with people who are not up to the challenge. When SAMAs took a chance on someone unexpected in 2015 with HHP, things did not go that well. What Somizi, Tumi, Thando and Katlego represent right now is the hope that the industry decision makers will recognise that the pool is filled with talented individuals who can deliver. There are many Somizis in this industry and out there trying to get in. Hopefully we won't get a situation where you replace one batch of overused hosts with another. As great as Somizi is, it would also be nice not to use him for everything. As for Somizi, his impact will forever speak volumes. 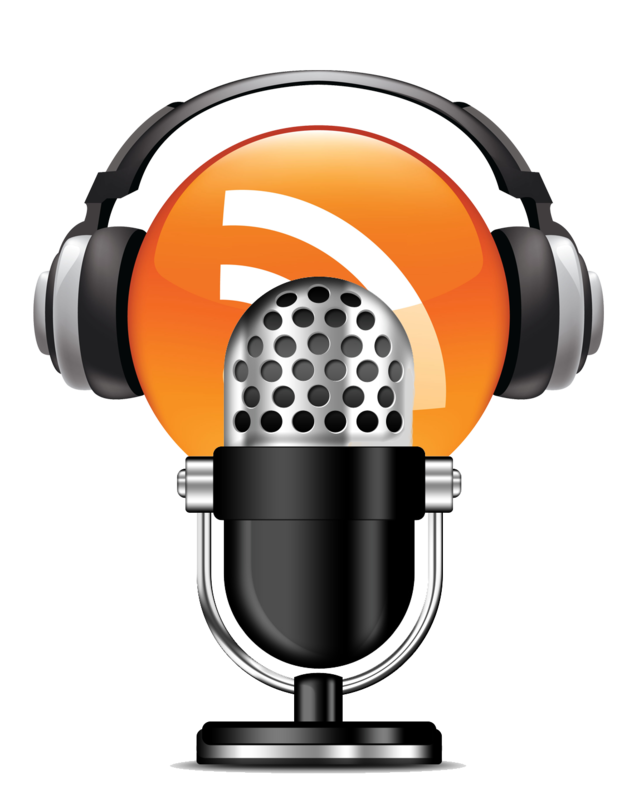 He is a man who is constantly injecting new life into this industry. He is phoenix that keeps rising from the ashes every time some people write him off and his rise ignites a new wave of optimism for us all. Congratulations to Tumi Morake and Somizi for a job well done at the SAMAs 2017.